That's right - you read correctly the title of this post. Ladies and gentleman - I'd like to introduce you to the newest member of our family - BObi Ross! BObi is amazing and is from bObsweep - a line of robotic vacuum cleaners. When BObi arrived she came with all her parts and replacement parts. I was afraid it would be difficult to put her together but it literally took a few minutes and only involved inserting her battery pack and screwing a few things together. And all I had to do with her charging station was plug it in. Oh and she even came with her own little birth certificate from the company. BObi was born on July 7th and weighs 7 pounds and is 3.2" tall! So who is BObi? 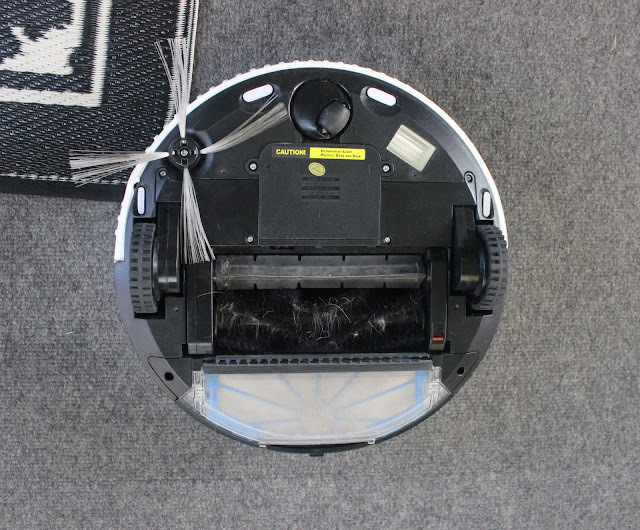 BObi is a sleek and modern looking robotic vacuum cleaner that uses state of the art technology to do the hard work while you stand by and relax. How does BObi work and what does she do? 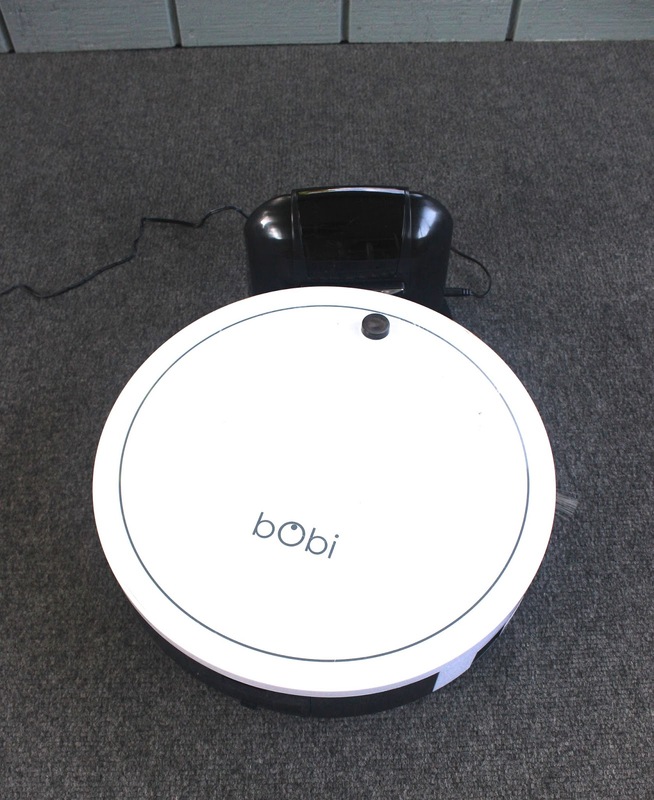 BObi is a quiet little thing that simply hums as she works. She comes with a remote for anytime you want to manually assist her and she even has a programmable schedule. She has 3 modes - Go, Juice, and Waffle. Go is what you use when you want BObi to do her thing and clean. She uses some sort of algorithm I could never understand to maneuver around the house and cover all the ground while avoiding any obstacles. You have to make sure you put cords up and any loose clutter that she could get stuck on. The majority of our home is hardwood floors and BObi did an insanely fabulous job on them but even on the area rugs and the carpeted porch and dining room she was a pro and didn't get stuck on anything. When you hit Juice BObi begins to look for her charger. She will hook herself back up to charge. And when you hit Waffle BObi knows she needs to spot clean a small area, which makes this the perfect setting for any spills. Does BObi really do a good job? Yes! We even had lines left behind in the carpet which means a thorough job was done! Her sensors help her avoid any objects that she could crash into but she also is able to get into corners and around the base of furniture. She even went under our couch. It's super easy to empty her bin and she even comes with little tools to help brush her HEPA filter and bin clean. She also has a main brush and come with mopping pads and a little connector arm. That's right - BObi mopped our kitchen floor and WOW it was seriously what we needed. When I used a wet mop before it still just seemed to push the dirt around but BObi went ahead and did the hard work without me having to get down on my hands and knees. And her mopping pads are machine washable. BObi's wheels help her go off-roading - Just kidding but they do help her get around and up small inclines like the little hump we have between our dining room and living room. BObi will pretty much last a lifetime with us as long as we take care of her which means emptying her bin and keeping her brush and filter clean. I love this thing so much that it's not hard to keep her clean at all! 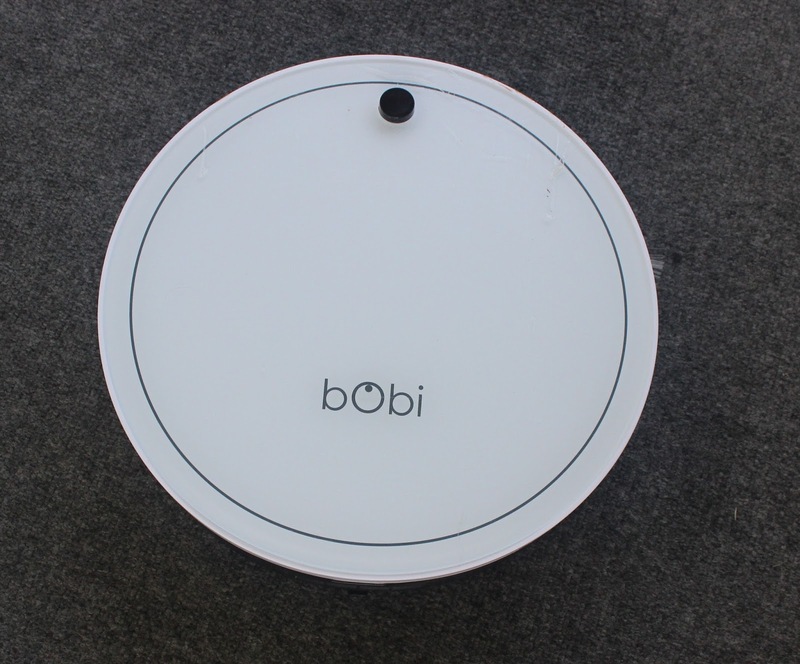 I also love the design of BObi and the modern white color. I love her little rubber bumpers and I love that she's easy to hide away when you don't want her seen. I also love her UV light that kills bacteria. I have 4 dogs so who knows what kind of bacteria is in my home. But who needs to worry about that when you have BObi around!? So what can you do while BObi cleans? Relax. Since BObi has a remote control it gives me peace of mind when I want to sit and enjoy the day and let her clean. If she comes in the room and I don't want her there I can just steer her away. I am able to enjoy my free time now and read magazines or play on my iPad, instead of sitting down and then thinking "Shoot, I should be cleaning". I don't feel stressed about how BObi is doing or if she's stuck because not only would she beep if that were the case but she is pretty darn independent. They aren't just making that up when they say that about her! Entertain. Can I just tell you that the most enjoyable part of my get together with friends at our new house the other week was sitting around, drinking wine, and watching BObi? We could barely even talk because we were all in awe with our jaws wide open as she did her little thing. Get Ready. While BObi cleaned the house before our guests came over, I was able to take my time and get ready. I picked out an outfit and accessories and even took my time doing my hair and makeup. I didn't have to run around multitasking and breaking a sweet tidying up last minute! How Can You Get Your Own BObi? You can order BObi here for $749. You can also order replacement parts for her at anytime on the website. Is it worth it? YES! I seriously am attached to BObi and I am thoroughly impressed with all she does. I have yet to be let down and yet to have to fill in because she missed a spot! Also, don't make fun of me but I'm oddly attached to my BObi. If she cries in distress I run to her side just as I do with my dogs. It really does feel like she's a member of our family and it is seriously AMAZING to have our very own robot! This was honestly a big deal to me because I've dreamed about having a robotic vacuum cleaner for years and years. You can keep up with all the latest news on BobSweep on social media on their Facebook and Twitter. get one! u will love it! OMG that would be hilarious! 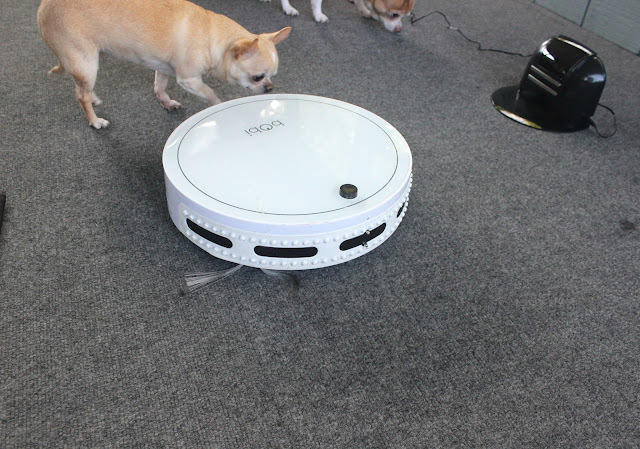 That is so cool--- robotic vacuum cleaner? OMG this is amazing! I need one! I have a nightmare dragging my henry hoover around. I might ask my boyfriend for one for Christmas. Is that sad haha? !